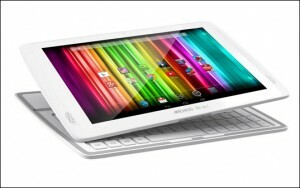 Archos has announced its last tablet, the Archos 101 XS 2, the Gen11 tablet. It’s a 10’’ Google certified tablet powered by a Quad-Core 1.6 GHz and 2 GB of RAM. It has a HD (1280 x 800 pixels) IOS screen and front facing stereo speakers. 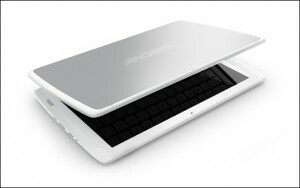 The Archos 101 XS 2 includes the innovative Coverboard, a unique magnetic keyboard. The processor is energy efficient, so the 7000 mAh battery will last longer! Archos 101 XS 2 includes two 2 MP cameras, one front and one back camera. The dual camera allows you to attend video calls as well as acquiring images. The tablet is pure Android, and runs Android 3.4 ‘Jelly Bean’, is Google certified and includes the Google mobile apps suite (Youtube, Gmail, Maps…). An interesting feature is the magnetic keyboard coming with all the tablets. It’s a nicely design accessory that can be used to protect, stand and dock the tablet. It’s magnetically held in place, and when closed, the tablet is only 15mm thick. If you slide the coverboard, it separates from the tablet and we find a complete keyboard. If you flip up the kickstand and put the table in, it will connect automatically. Archos 101 XS 2 has access to the best cloud storages applications, including Google Drive and its 15 GB of free storage. The tablet also has a microSD slot for cards up to 64 GB and USB port. Two front facing speakers provide a stereo experience. Archos’ new tablet also includes a full version of OfficeSuite Pro preinstalled for free. This app allows you not only to view and edit Word, Excel and PowerPoint files but also open attachments and see PDF files. The ARCHOS 101 XS 2 has also full access to the Google Play Store. The tablet will arrive in the UK this December. 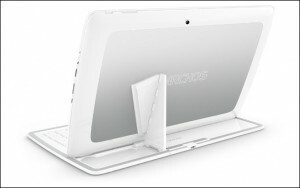 You can find it priced £249.99 at Archos’ own web store.